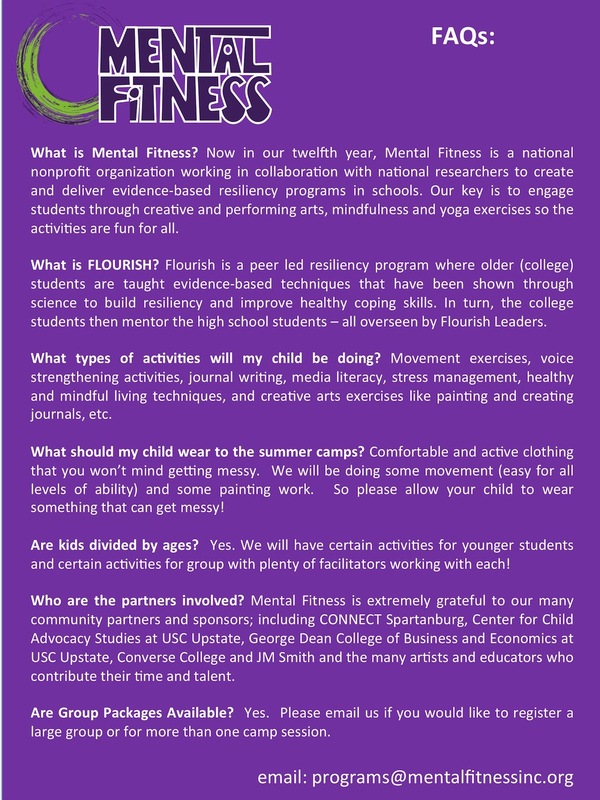 Mental Fitness - June Flourish Summer Camps for Girls (rising 6th to 12th graders)! June Flourish Summer Camps for Girls (rising 6th to 12th graders)! Flourish June Girl Power Camps at Converse College! For girls (rising 6th to 12th graders), join us June 18-19, from 9am - 3pm! Please note, if you register 2 participants, you receive a $19 savings! Please register using the "savings" link included on this page.